The USA’s native birds are protected by law, and may only be kept in captivity by licensed rehabilitators (European Starlings, may be kept in some states, please see article linked below). However, folks who wish to keep “wild” birds do have another options. Several European species may be legally kept as pets, provided they have been captive-bred. One of my favorites is the beautiful European Blackbird, Turdus merula. With his jet black plumage and bright yellow bill and eye-ring, the male European Blackbird is quite striking. Females, clad in dark brown, have their own subdued beauty. White-splotched individuals appear regularly (please see photo), and albinos have been selectively bred in captivity. The European Blackbird’s huge range extends from the UK east and southeast to northern Iran and China. Several subspecies have been described, and introduced populations are established in Australia and New Zealand. Originally birds of open woodlands and overgrown fields, theses hardy generalists have adapted to life among people, and frequent farms, suburban gardens and large cities. Although declining in some parts of England, the European Blackbird is generally common, and in the springtime fledglings are often picked up by well-meaning individuals and raised as pets. They usually prove to be quite responsive to people, and this remains the main way in which Blackbirds find their way into captivity. However, European Blackbirds are also being captive-bred, and they are sometimes available in the USA through breeders and importers specializing in exotic softbills. 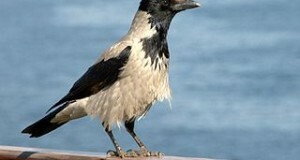 Hand-raised youngsters make interesting pets, and parent-raised birds usually tame down readily. Here in the USA, where Crows and European Starlings are common, folks tend to think of black-feathered birds as loud and raucous. However, the European Blackbird is closely related to the Song Thrush, and the male sings in a soft, melodious voice. Their alarm calls, like those of many birds, are loud and hash. Active and cold-hearty, European Blackbirds are best kept in large, well-planted aviaries. Life in an outdoor aviary is a great way of keeping these inquisitive birds occupied and interested in their surroundings. Whether hunting or scolding a passing competitor, Blackbirds kept outdoors tend to be more active and vigorous than indoor birds. A custom-made cage is best for indoor housing, although well-habituated individuals will adjust to large macaw cages. Out-of-cage time in a bird-proofed room should also be provided. These attractive songsters are insect specialists, but also take a great deal of fruit at certain times of the year. A highly varied diet, packed with insects and other protein-rich foods, is essential if you want to keep your birds in peak color and condition. I’ve always maintained insect traps, such as the Zoo Med Bug Napper, to help meet the needs of the birds under my care. Pets fare well on high-quality commercial insectivorous bird food (please write in if you have difficulty in locating this) into which has been mixed Softbill Select, Myna Pellets, hard-boiled egg and some cooked ground beef. European Blackbirds relish grasshoppers, katydids, earthworms, crickets, spiders, sow bugs, beetles, termites, moths, mealworms, waxworms, maggots, silkworms – almost any invertebrate, in other words! Please see these articles on Collecting Feeder Insects to learn more about increasing dietary variety. Canned snails, grasshoppers and silkworms, marketed for use with captive reptiles, are a convenient means of increasing the nutritional content of Blackbird diets. Fresh fruit, including figs, apples, plums, grapes, pears, berries and seasonally available varieties, should be offered daily; squash, cucumbers, carrots and cooked yams should also be tried. 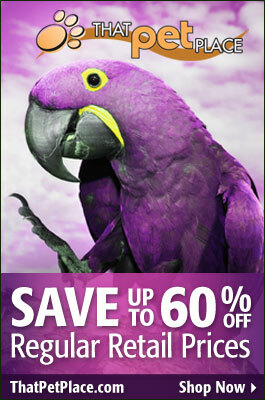 Your bird will likely enjoy prepared fruit/vegetable based “cook-and-serve” foods formulated for large parrots. Wild European Blackbirds forage by tossing dead leaves aside to reveal hidden insects. Pets never lose their “tossing tendencies”, and can create quite a mess at mealtime. 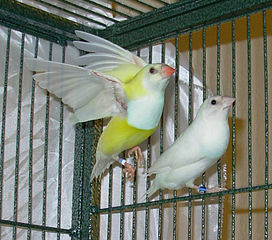 Captive breeding is regular but not common, and is best attempted in an outdoor aviary. Indoors, one should adjust the day/night cycle to match that of their natural range. A supply of dry grasses and mud is essential for pairs that are preparing to nest. The nest will be constructed by the female, but the male “helps” (enthusiasm in this regard varies…some males seem more of a nuisance than anything else!) to gather materials. A nest box or thick shrub will be used. The eggs, 3-6 in number, are blue-green and speckled with reddish spots. They are incubated by the female for 13-16 days, and the male helps with feeding once the chicks hatch. The youngsters fledge at 2 weeks of age, but are fed by their parents for an additional 2-3 weeks. A steady supply of live and canned insects (please see above) is essential if the chicks are to be raised successfully. In fact, their insatiable appetites are likely the main reason for the scarcity of captive-raised Blackbirds. Some estimates place their needs at over 100 insects each, per day; this is in line with what I have read in field research reports on similar species. One can easily see how important Blackbirds and other insect-eaters are to people, but their dietary needs do complicate captive breeding. I’m not aware of any attempts to provide parents with insect substitutes, but this tactic often fails with other highly-insectivorous birds. Hello, I have a banded blackbird that is just delightful. He sings a soft song till breeding season then belts out a full song. I would love to breed him but haven’t found a female. I live in NY, north of NYC. I have him on a diet of softbill insect food, mynah bird pellets, softbill fruit pellets, fresh fruits, vegetables, dried fruit and mealworms. Because of raccoons and hawks I have him in a cage that I can care in and out. He sings all year even in molt. What a delightful bird. Any recommendations for better care? Thanks for your interest. Great to hear you are keeping this wonderful bird..not much interest here, unfortunately. Sounds like a very good diet. You might try additional insects; they relish crickets, which you can slow down in the frig or even freeze prior to use. Canned grasshoppers, silkworms, snails and crickets, marketed for pet reptiles, are also worth a try. A full spectrum lamp would be useful if you encounter prolonged periods when he cannot be exposed to natural sunlight. Raccoons are a real problem for birds, turtles, fish and other outdoor pets on LI and in NYC as well…I’ve trapped them all over Manhattan and the Bronx. I’m in NY also; I don’t know of any local sources for females, unfortunately, but if you’ve not done so you might try contacting Birdsexpress or posting a want ad on SoftbillsforSale.. They are listed as “out of stock” on BirdsExpress now, but they may be able to provide some info. I have become a surrogate mother for a baby blackbird. I live in France and it is now 4 months old and in an outside aviary, I was wondering I need to change anything as the winter months approach? It was born in my garden so I was wandering if this means that the parents would go further south in France for the winter. They are very cold-tolerant, but it is best to provide a water-proof sheltered area (open ended enclosure with a perch, protected from wind) equipped with a weather-safe heating source (ceramic heat emitter as sold for reptiles, heat bulb) so that it can warm up if need be. A licensed electrician should install this, for safety’s sake. The bird will likely eat more during the winter as well. Most populations do not migrate long distances, but this depends on the locale…some in France may make short flights southward…do you see them in the winter? Hi Frank, thank you for your quick reply. 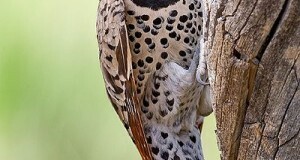 I actually posted his picture on a bird forum and someone was able to identify it. Could you please take a look at his pic please. The link is below.